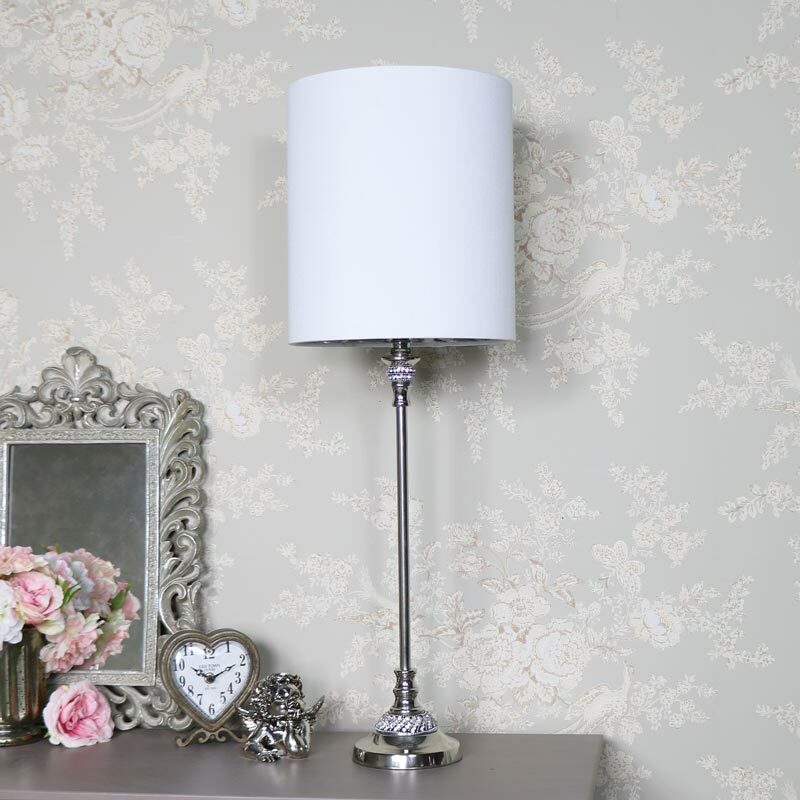 This table lamp is simply stunning and will make an elegant and stylish addition to the living room or hallway. Diamante detailing on the polished silver base and a white faux silk shade that adds some vintage French chic. This table lamp is just what you need for adding some glamorous French elegance to your home. Diamante detailing decorates the top and bottom of the base to add gorgeous sparkle with the whole look complemented beautifully with a white faux silk lamp shade. This is a lamp that will stand out no matter where it's placed and just oozes a look of sophisticated elegance. This table lamp is simply stunning and will make an elegant and stylish addition to the living room or hallway. 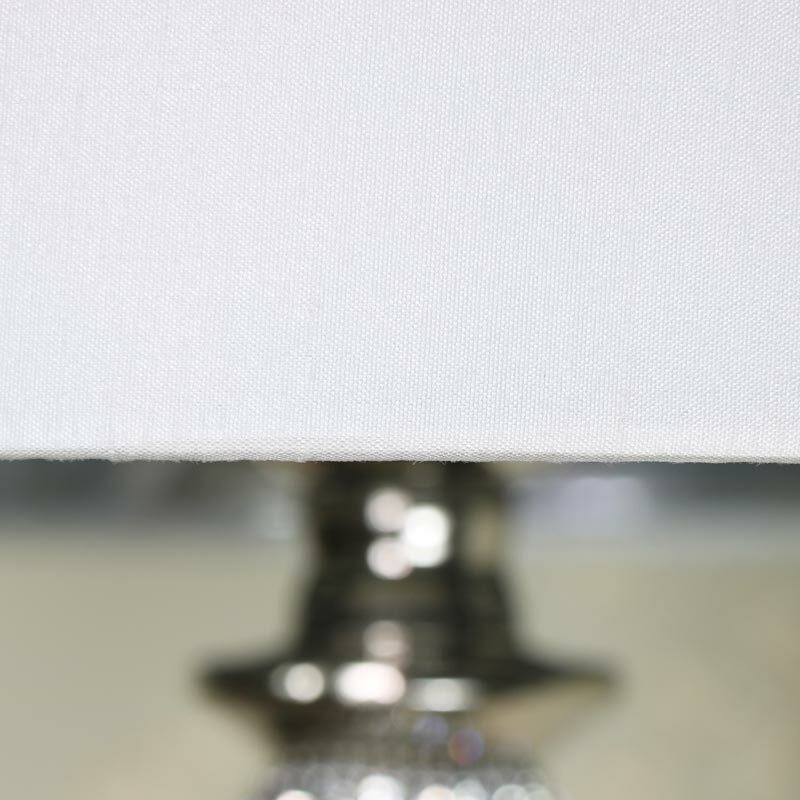 Diamante detailing on the polished silver base and a white faux silk shade that adds some vintage French chic. This table lamp is just what you need for adding some glamorous French elegance to your home. 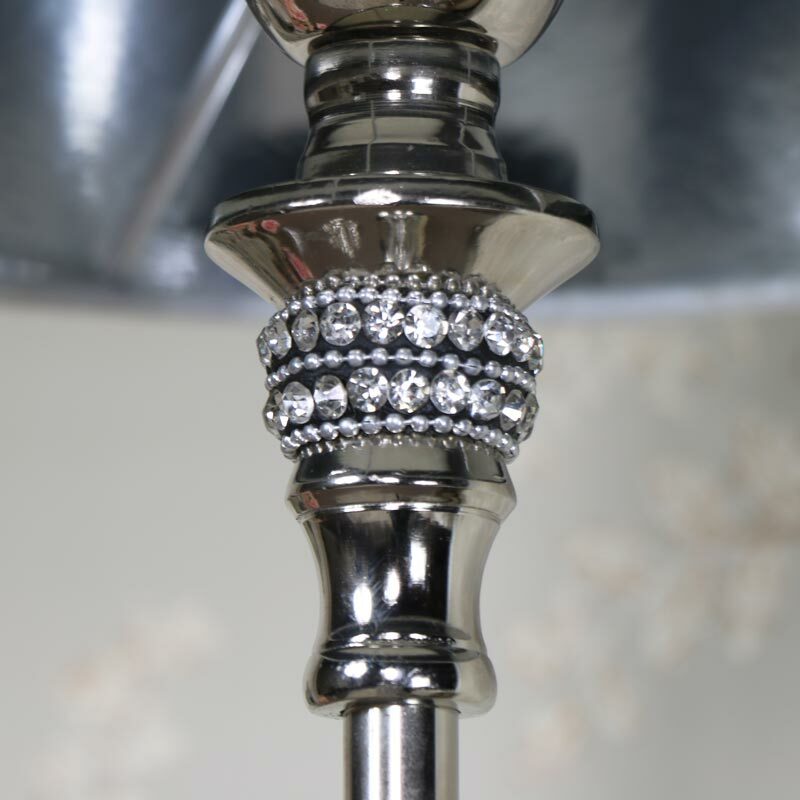 Diamante detailing decorates the top and bottom of the base to add gorgeous sparkle with the whole look complemented beautifully with a white faux silk lamp shade. This is a lamp that will stand out no matter where it's placed and just oozes a look of sophisticated elegance. 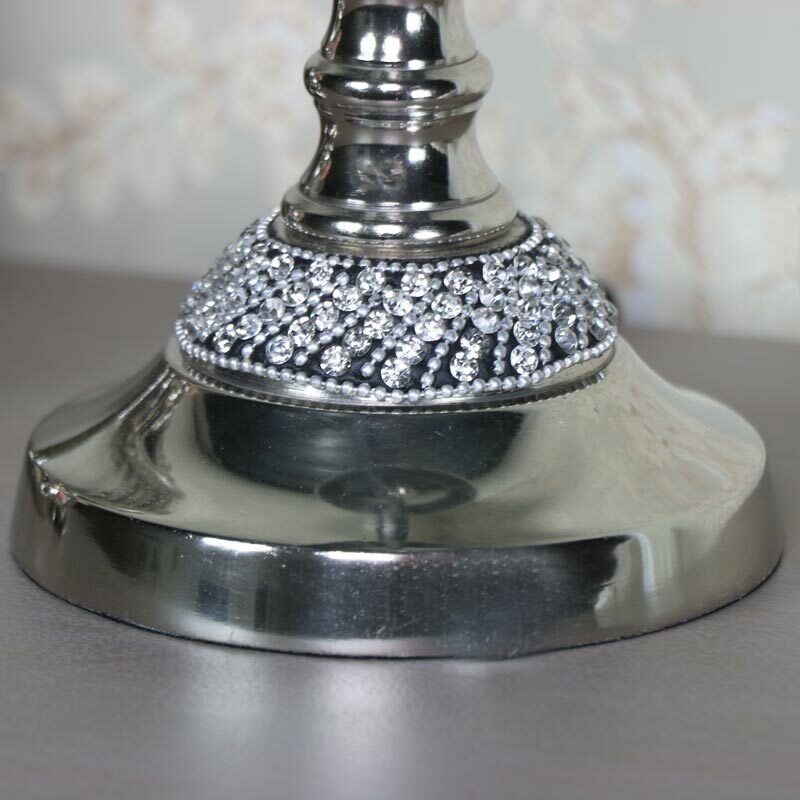 Silver nickel base with sparkly silver covered lamp shade. In-line switch for easy access and takes max 60watt screw in E27 bulb (not included). Comes with a dual fitting plug for use in the UK and EU. This lamp is a great addition to our range of lighting, part of our gifts and home accessories.